The Seabrook Hoody is a great cover up hoody It keeps you warm without swallowing you and is great to wear whilst warming up for climbing, Yoga or just walking to the shops. 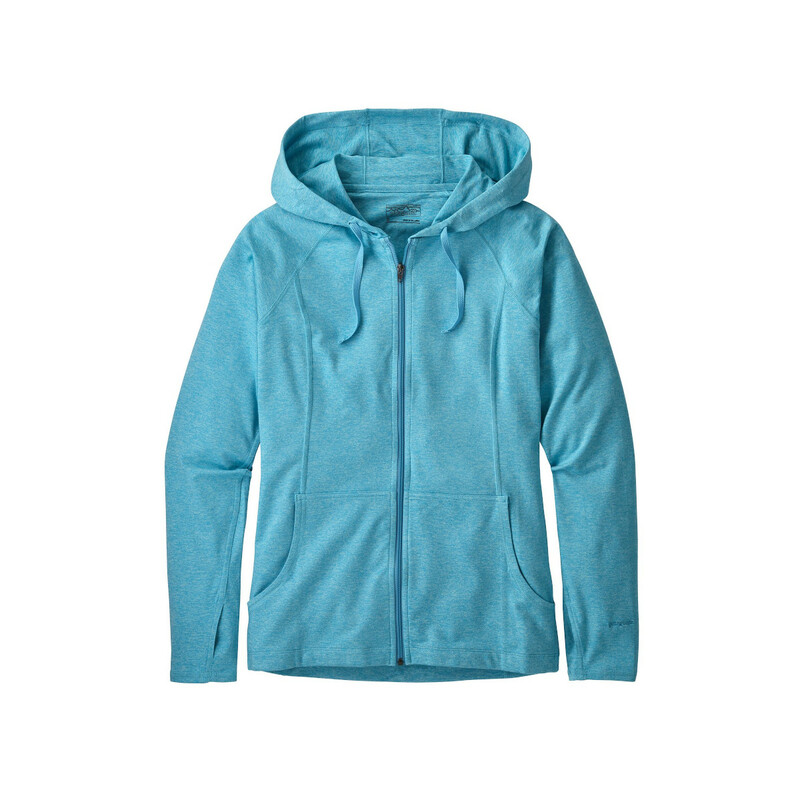 It has thumb loops, a comfortable hood, full-length front zip, 2 front pockets and is hip length. And like everything Patagonia it's sustainable. Made with soft, quick-drying 89% recycled polyester and 11% spandex heathered knit with 50+ UPF sun protection so you don't have to worry about the hoody fading.